For many engaged couples around the world, the prospect of a celebrating your nuptials in the beautiful Italian countryside is the stuff of fairy tales, but the truth is that a wedding villa in a dream location can be closer to reality than you might think! 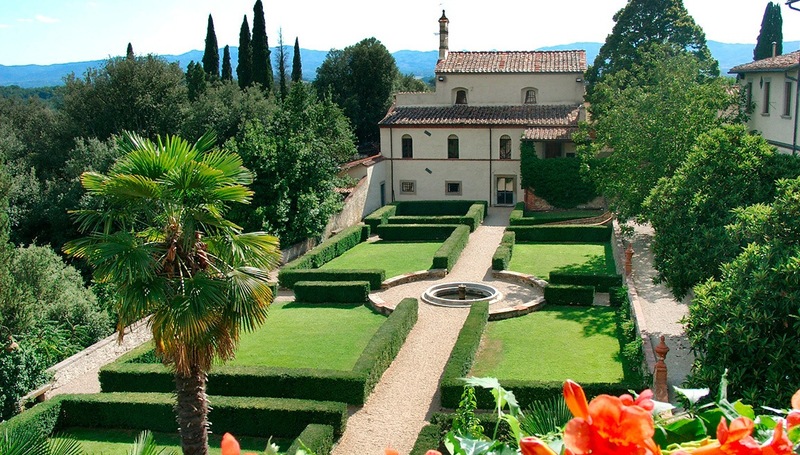 There is a plethora of Tuscan villa wedding venues to choose from in this area of the country, but out of all of them, it might be fair to say that the historical Poggitazzi estate is the most beautiful and luxurious of them all. 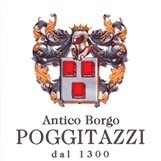 Nestled in the Italian hills and neighboured by olive groves and vineyards, the Poggitazzi is a manor house that stands on the old grounds of a medieval castle. Ideal for wedding ceremonies, the property also boasts a beautifully restored church in its historical gardens. 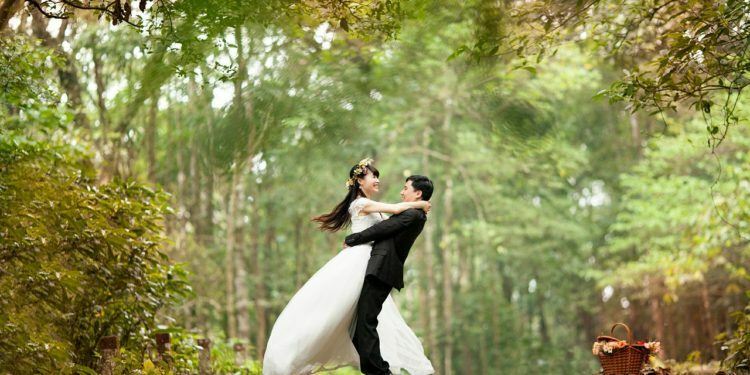 Like any top-quality wedding villa, it boasts rooms that are equipped with all the modern amenities. Guests are able to enjoy the benefits of a TV, mini bar, air conditioning, safe deposit box, free Wi-Fi, and an en-suite bathroom with power shower. Rooms are decorated in a traditional Tuscan style in keeping with the beautiful natural surroundings, providing every comfort to ensure you can relax so that your big day goes off without a hitch. 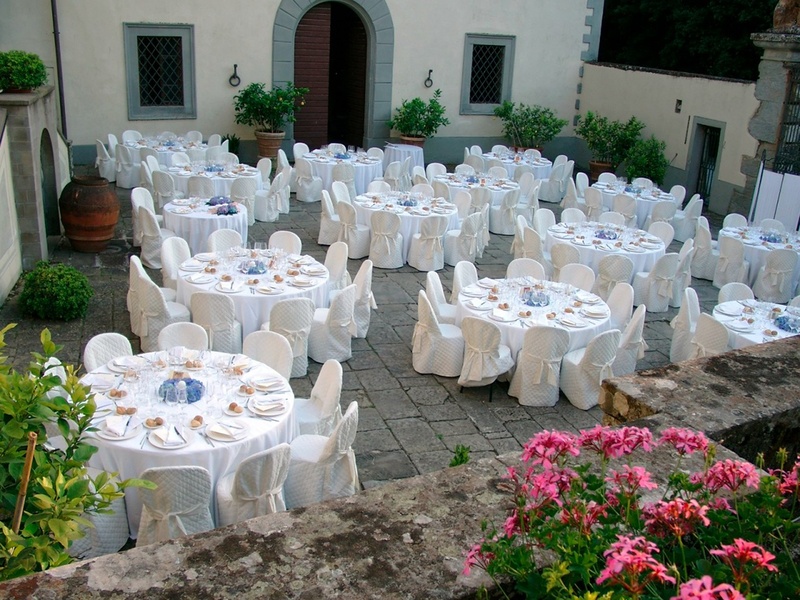 One of the most accommodating Tuscan villa wedding venues, the Poggitazzi offers reception options for both indoor and outdoor events. The beautiful Italianate gardens are spacious enough to host a glorious wedding banquet for up to 600 guests, a number fit for even the grandest of weddings. Inside the wedding villa, you have the option of a room that fit caters for up to 250 guests, with an adjoining room that can cater for 200 more. This makes the total indoor capacity 450 persons, still a huge number for a grand indoor wedding. Other services that you can order and organise in advance to make sure your Tuscan wedding goes off without a hitch include catering from highly professional chefs, photography for the entire day, flower arranging, and live music and entertainment for the reception after the ceremony has taken place. This charming estate is one of the Tuscany’s best kept secrets, with beautiful buildings and beautiful surroundings that will help to make your special day the best experience of your life. The best way to ensure a marriage starts off on the right foot is to start it with luxury and beauty. Pursuant to art. 10 of the law 675/96 on privacy I authorize the processing of data entered in this form, in order to carry out all the activities aimed at satisfying my request.